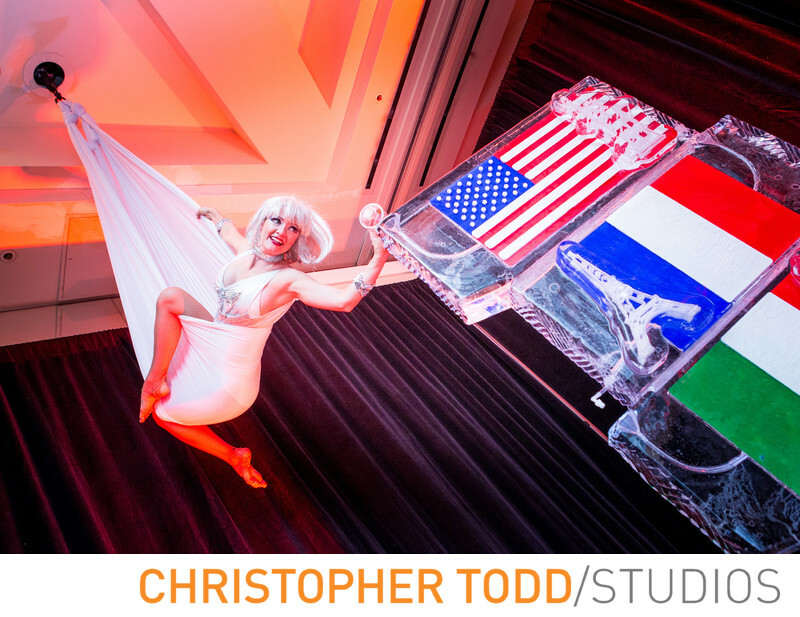 Acrobatic dancer hanging from the ceiling pours vodka into an ice luge at a corporate party at Hotel Irvine. Photography by christopher TODD studios. 1/40; f/4.0; ISO 1600; 28.0 mm.